You will find this topic outlined on the Expressing Moods page. We have touched on it previously and I am sure we shall further expand on it in the future. 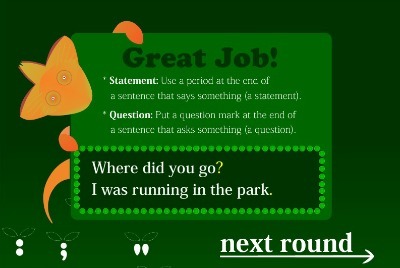 I hope you find it useful in your English practice. 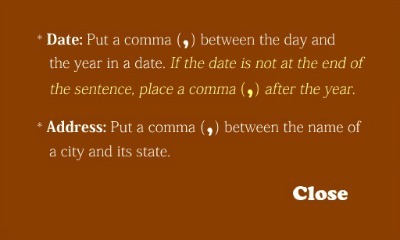 Nouns, however direct and precise they may be, cannot stand alone, lacking the ACTION in a writer's sentences. 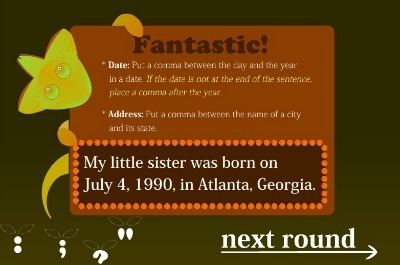 One interesting game for us today covers punctuation, which we haven't considered for a long time now. 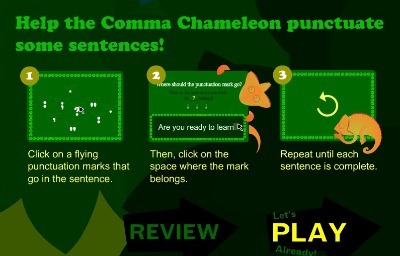 Today we are going to look at the Comma Chameleon game. 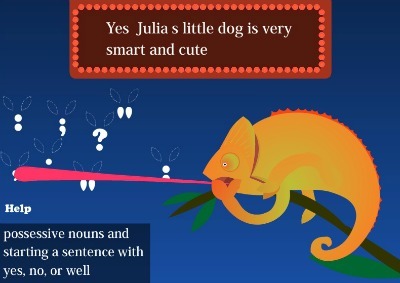 You will have to indicate to the chameleon the correct punctuation mark it needs to grasp and then direct it to place it in the right place for the sentence you're working on. You will actually have instructions on the screen at all times, and you are not timed for your answers either, making this a great game for young learners. Play it with your child, would you? 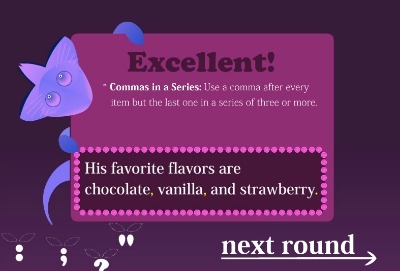 At the end of punctuating each sentence, you will get a congratulating message. ... and that's about it! 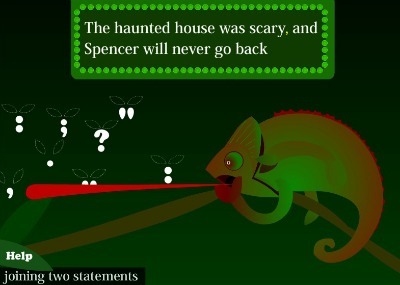 Now it's your turn to play the Comma Chameleon game. Involve your children and... Enjoy!